Shereen Cakes offers a variety of baking classes for both kids and adults. Learn the basics and cake baking and decorating for various occasions through 1-on-1 lessons with a professional pastry chef. About the Instructor: Lina Osmani is from Afghanistan, an architecture student who uses her design skills to decorate cakes. She started baking when she was around 12 years old. She is a self-taught cake artist, and professionally learned baking when she came to Dubai. 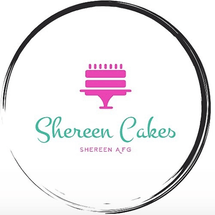 Since then, she started Shereen Cakes which has been providing cakes for different clients for any occasion. Bake 4 All-Time Favorite Cakes in 4 Days!